Mongolia is one of the most mining-dependent countries in the world. In addition to economic growth, jobs and government revenue, mining has also brought challenges to Mongolia. Resource revenues are volatile, which can lead to boom-bust cycles. Populist politics oftentimes incentivizes politicians to use finite resource revenue for immediate consumption rather than investing in long-term projects or a sovereign wealth fund. Addressing the challenges of volatility and exhaustibility requires a long-term policy to decide how much revenue to invest for the future, how much to spend on development projects and how much to disperse through other mechanisms. Mongolia has developed a number of policies to manage resource revenues, including multiple fiscal rules and sovereign wealth funds, as well as distribution of resource revenues via direct cash transfers to citizens. In practice, the effectiveness of these tools has been weak. 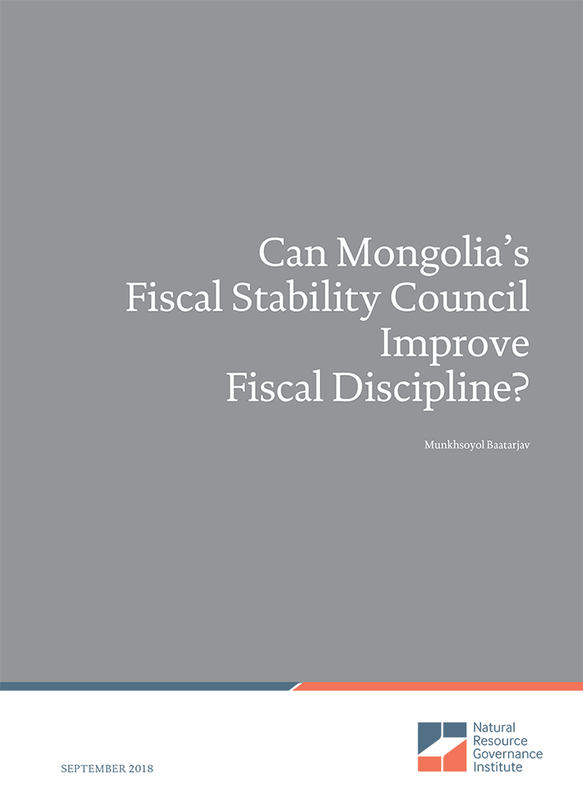 As a cornerstone of its revenue management policy, Mongolia adopted the Fiscal Stability Law in 2010, specifying multiple fiscal rules, including explicit debt, budget balance and expenditure growth limits. However, the government has modified these fiscal rules multiple times. Most recently, in 2016, it adjusted rules to accommodate its failure to meet its original budget targets. To date, there is no independent agency tasked with monitoring the rules or evaluating the sustainability of fiscal policy. A low score on the revenue management measure of the 2017 Resource Governance Index highlights the weaknesses of the fiscal rules and sovereign wealth fund governance. This contributed to the country being largely unprepared for the recent fall of commodity prices, which ultimately pushed the country into a debt crisis. Last December, the Mongolian parliament adopted a resolution to establish the Fiscal Stability Council (FSC) and approved its bylaws. The establishment of the FSC is an important step toward enhanced oversight. However, comparing the Mongolian bylaws to international standards reveals a number of shortcomings in the functions, transparency and safeguards of independence of the proposed FSC. This briefing makes a series of recommendations with regard to the design and implementation of the FSC.